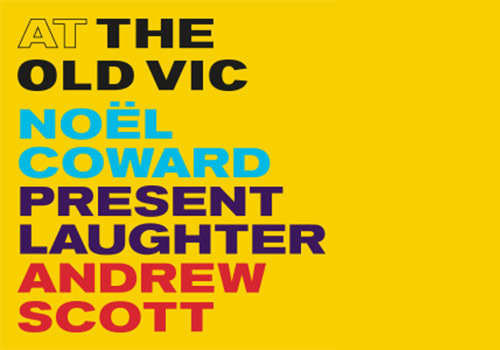 Noel Coward’s comic play is revived at the Old Vic Theatre this summer, featuring an all-star cast including Andrew Scott. Present Laughter follows the life of successful yet self-obsessed comedy actor Garry Essendine as he prepares to tour Africa. In a farcical series of events, Garry has to navigate two women who want to seduce him alongside his wife and secretary, as well as overcome his imminent mid-life crisis. Noel Coward is one of Britain’s most celebrated playwrights. His most famous plays include Blithe Spirit and Private Lives, as well as Present Laughter. Cast for the production includes Andrew Scott, who is best known for his performance as Moriarty in BBC’s Sherlock, as well as appearances in James Bond film Spectre, and TV series Fleabag. Scott has had an acclaimed career in the theatre, too, most recently seen at the Old Vic in Simon Stephens’ monologue Sea Wall. He also starred as the titular Hamlet in the Robert Icke production at the Almeida Theatre, which later transferred to the Harold Pinter Theatre in the West End. Alongside Scott is Indira Varma (Game of Thrones, Man and Superman), Luke Thallon (Pinter Five), Sophie Thompson (The Importance of Being Earnest), and Suzie Toase (One Man, Two Guvnors). Present Laughter is directed by Matthew Warchus, current artistic director of the Old Vic. Warchus has also directed Matilda the Musical, Groundhog Day, and Pinter’s The Caretaker. Present Laughter is set to be a brilliant, hilarious production featuring standout performances. It plays at the Old Vic from 17th June – 10th August 2019.